Amsterdam, the city of creative culture and picturesque sights. Known for its liberal attitudes, canal rings and some of the finest museums in the world. 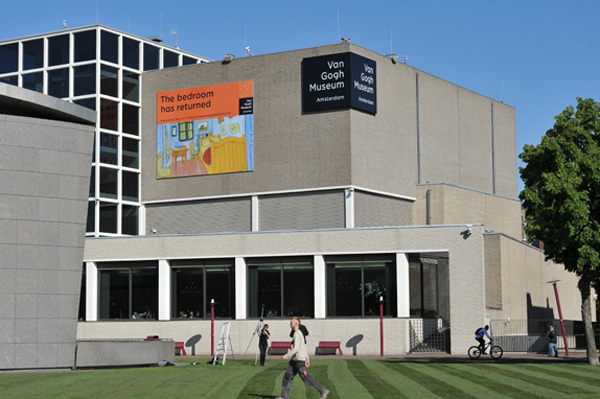 One of them, the Van Gogh Museum, a venue that attracts 1.6 million visitors every year. It is a beautiful complex facing the Paulus Potterstraat and assembles two buildings – a main structure designed by Gerrit Rietveld and the Exhibition Wing designed by Kisho Kurokawa. A modern, light and airy architecture that brings a lovely contrast to the XVII century feel of the city. It looks like a proud statement for the most beloved artist among the Dutch – despite, unfortunately, the same love was not always felt or shown during his lifetime. There is enough Vincent van Gogh work on to fill up two stories and a couple of intense hours. It is the largest collection of the artist’s works, with more than 200 paintings as well as hundreds of drawings, letters and some personal belongings. 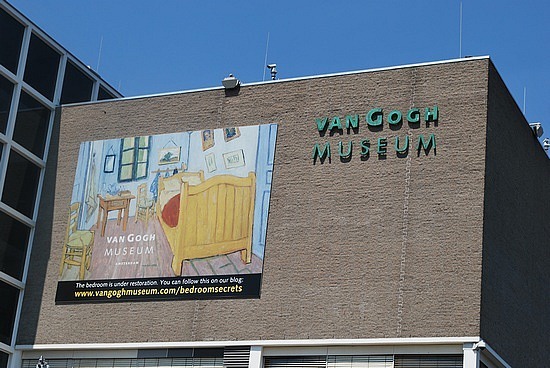 For a more amplified immersion into his mind, the museum also displays a collection of Van Gogh’s fellow painters, contemporaries and a source of inspiration to his work; as well as artists whom he inspired – From Monet and Gauguin to Félix Vallotton. 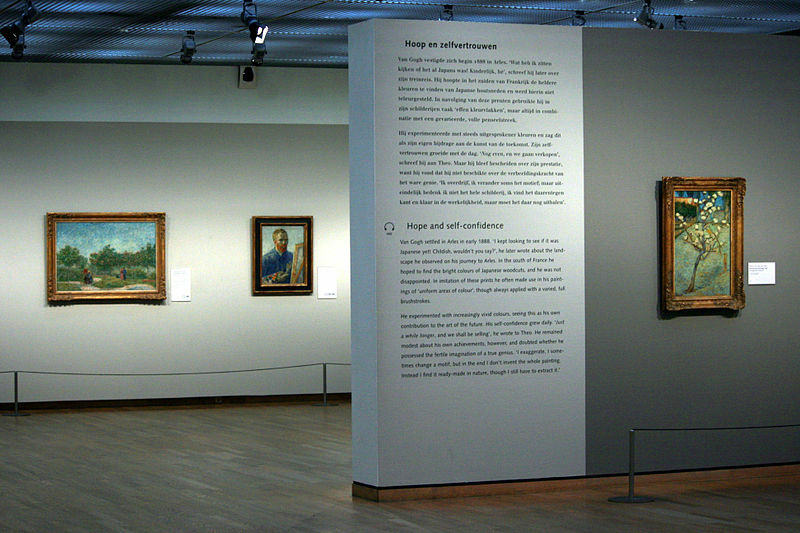 On the permanent collection it might come as a slight shock that it is not allowed to take photos and that most of the paintings are protected by glass, taking out a bit of the thrill of being face to face with masterpieces. And the fact that “Sunflowers” has been lent to the Tate Museum in London can come as a bit of a downer in case you are looking for it. However it compensates by so many other breath taking works such as “Irises“, Almond Tree Blossoms, self portraits and yes, the “Wheatfield with Crows” – the revolutionary masterpiece, raw and turbulent, no less than the painting that brings Modern Art into the world and the last he produced before committing suicide. Vincent Van Gogh, post-impressionist painter known by rough beauty and bold colors, was the second of six children born in Brabant, on March 1853. He was an avid reader of Shakespeare, Dickens and Victor Hugo, as well as an avid writer and thinker. 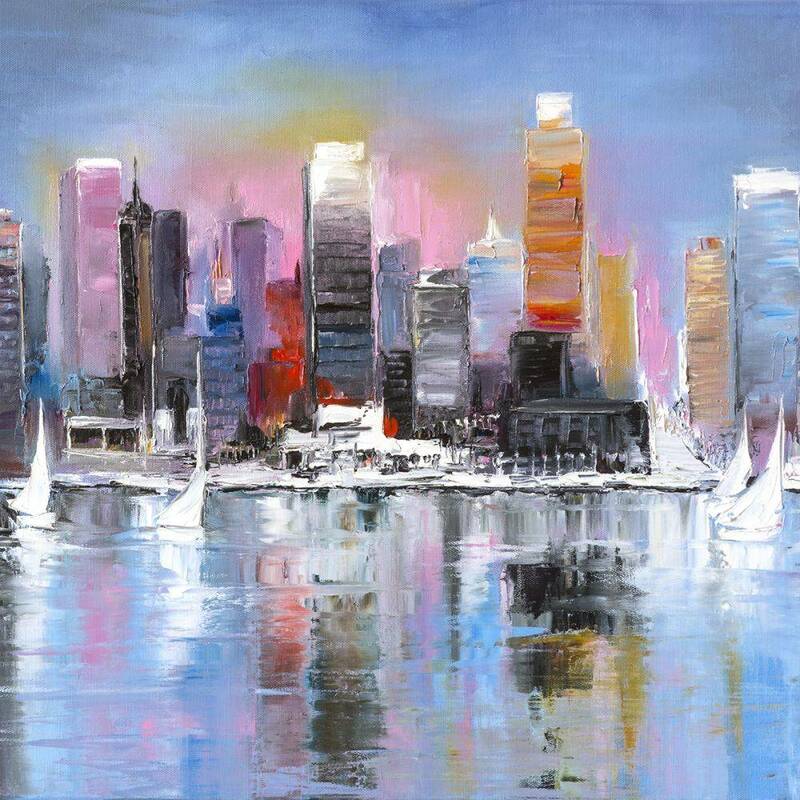 He began to draw as a child but he did not start painting before his late twenties. 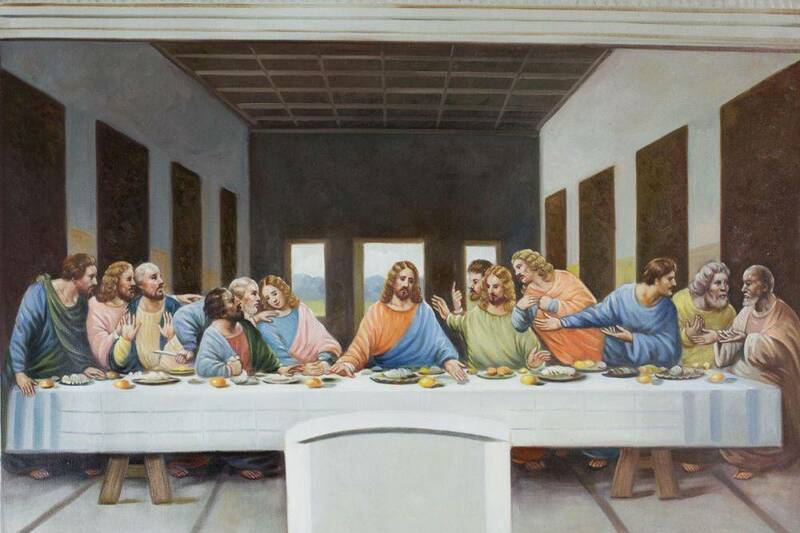 By the time he sold his first painting he was acclaimed by the critics as the genius of the future. Eventually, his rough emotional honesty and tremendous vibrancy ended up being too much for his own era. Van Gogh passionately believed that art would have to be created so that people would not be limited to see his pictures, but to feel the rush of life in them. 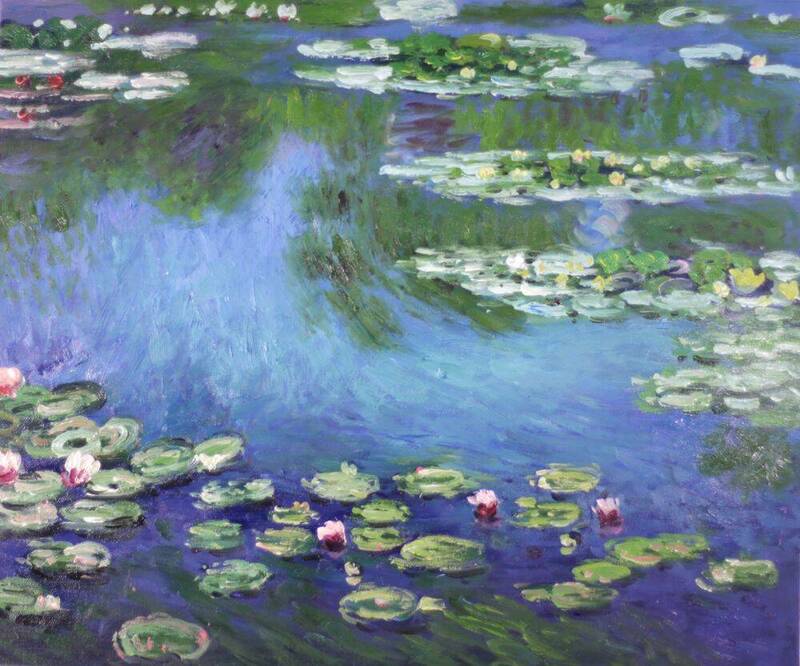 That they would experience those fields, faces and flowers in a way that no formal art could convey. His passions and painful anxiety lead him to a mental asylum, and much has been discussed about the influence of his delirious state upon his art, or if it was the other way around. From those times, we all know the “Starry Night”, one of his most appreciated paintings depicting the view from his room window at Saint-Rémy-de-Provence. In 1890 Van Gogh finds an alternative to his confinement and leaves for Auvers-sur-Oise, under the care of Paul Gachet, a homeopathic physician and amateur painter. In this place surrounded by new stimulations, Van Gogh goes into a rampage of creativity, producing one painting per day over two months. This compulsion became a concern as he felt the returning shadow of instability. 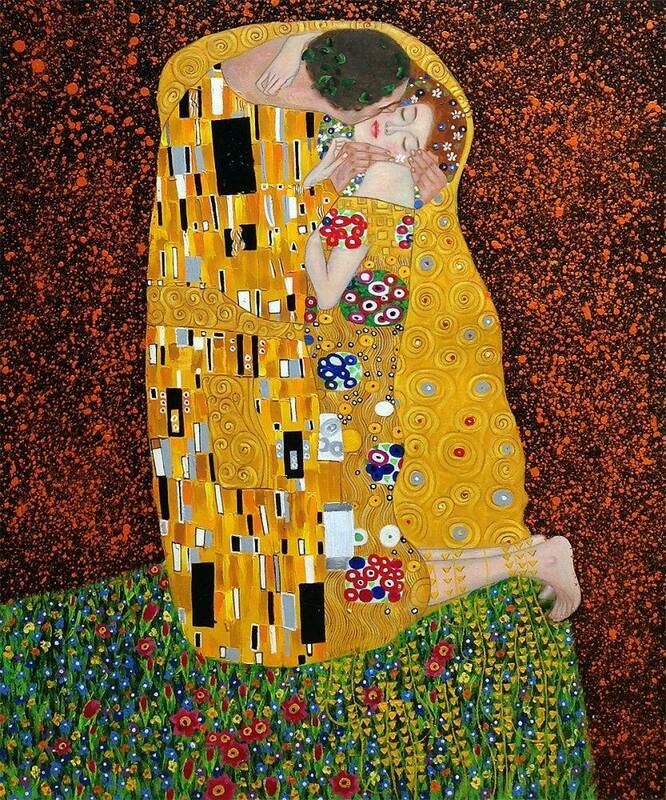 From this flow of unsettling expression he found his own liberation by ending his life with a gunshot at the age of 37, leaving the legacy of Expressionism to many artists to come. Going to Amsterdam and missing this museum would be, for an art lover, pretty much as going to Rome and missing the Vatican. Van Gogh is an institution for art and well celebrated here. On a practical note: make a plan before you go, such as knowing what trams to get (#2, #5 or #9 from Central Station) or booking your ticket online to avoid the queue. 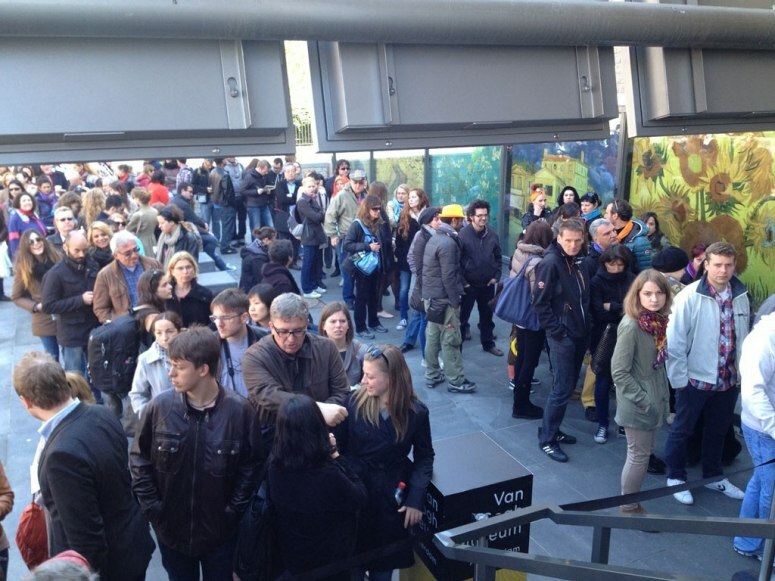 Still, try to avoid rush hours – check the times and get there really early or before the last admissions in the afternoon. 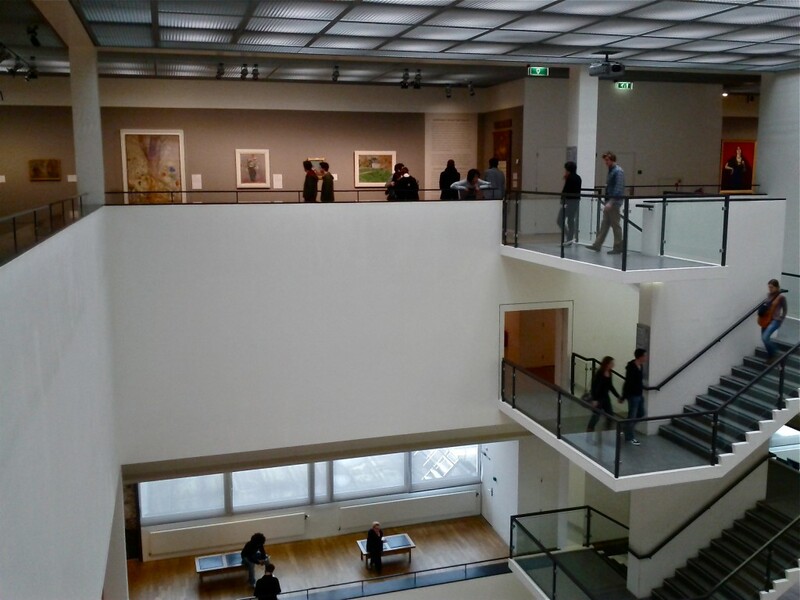 Once you get there, look up for the English audio guide – it will help with the artworks explanation, unless you get a really close look or have a marvelous eyesight. 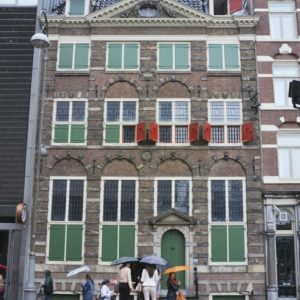 And – of course – since you’re planning an artistic venture, try Rembrandt’s House Museum, but don’t try and see them both on the same day, this amount of art needs digesting… Enjoy!